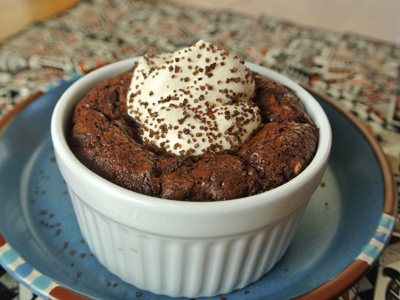 Any chocolate lover will love this rich lava cake. It’s one of the most decadent desserts I’ve ever tasted. 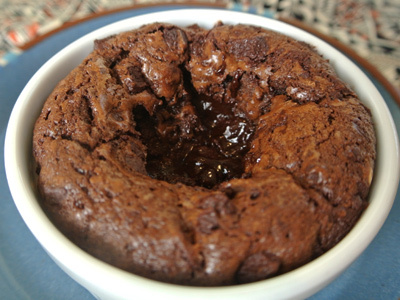 So rich with chocolate and a molten center that tastes like a thick gooey brownie. The Espresso Whipped Cream is like the ultimate exclamation point! I found a great recipe from “Dulce Desserts from Santa Fe Kitchens”. 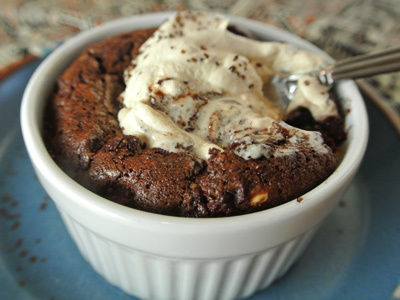 There are so many decadent chocolate recipes in this cookbook to choose from but the lava cake was calling me. If you can’t find Mexican chocolate locally you can order online through Taza or Amazon. 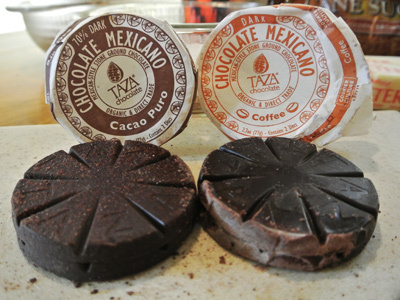 Taza has a variety of flavored Mexican chocolates and I can’t wait to try some new recipes using the flavored chocolate discs. You’ll need some flour, unsweetened cocoa powder, espresso powder, baking powder, butter, sugar, brown sugar, eggs, vanilla and almond extract plus 2 discs of Mexican Chocolate. I found these at a specialty shop while on vacation. I had a hard time deciding on which flavors to choose but ended up with a disc of Cacao Puro 70% dark and a disc of Coffee. I used a sharp knife to chop the chocolate into small chunks. Set this aside until later. 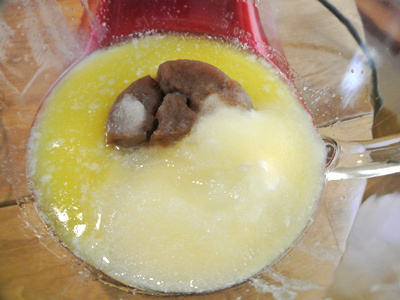 For the cake batter, begin by adding the melted butter and sugars into a mixing bowl. Cream the butter and sugars together on the medium speed of a stand mixer. Add the eggs in one at a time beating after each addition. Add a splash of vanilla and almond extract. Mix well. 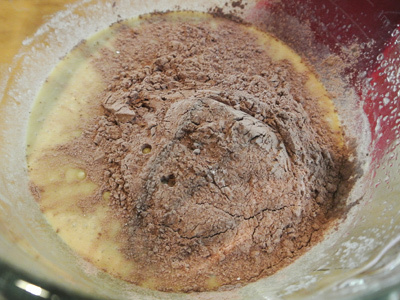 Combine the dry ingredients of flour, cocoa powder and baking powder. Add about half into the mixing bowl, beat on low until well combined. 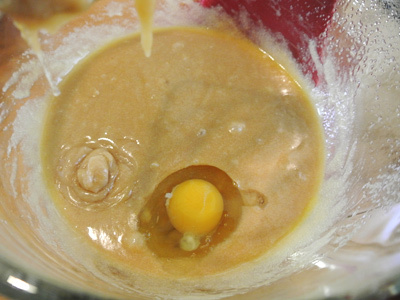 Add the rest of the dry ingredients and blend until you have a thick batter. 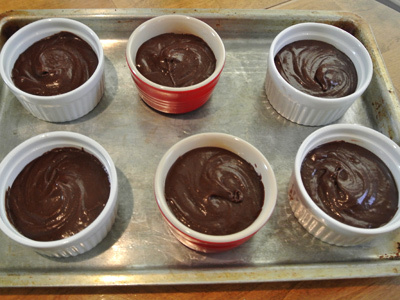 Divide batter into 6 (8 ounce) ramekin cups and set on a baking sheet. 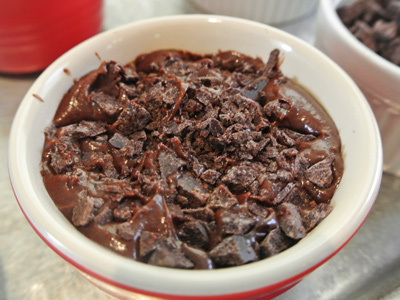 While the oven is heating up press 2 tablespoons of the Mexican chocolate chunks into the batter of each ramekin cup. Just press the chunks down with a spoon. The tiny little bits that stay on top make for the tastiest little crunch after it’s baked. Cover and refrigerate the ramekins filled with batter for 1 hour. Preheat oven to 350 degrees. Let ramekins sit at room temperature while oven is heating. Bake for 30 minutes. Test with a toothpick in the center, it should come out with a rich thick batter. As they come straight out of the oven they appear puffed up with a crisp texture on top. Set the ramekins out to cool for 5 minutes. As they begin to cool the center collapses with the molten chocolate lava below. The espresso whipped cream is so easy to make. Just heavy cream, sugar and espresso powder is all you need. 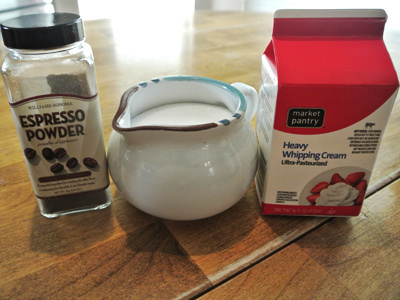 Combine 1 cup of whipped cream, 3 tablespoons of sugar and 1 teaspoon of espresso powder. 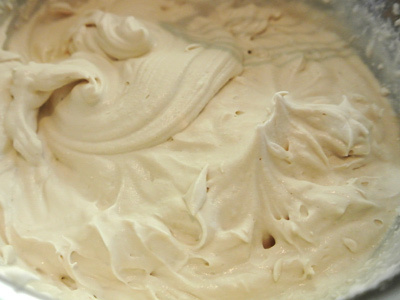 Use a hand mixer with a whisk attachment and whisk on high until the cream begins to form small peaks. Add a dollop or two into the center of the lava cake. For a little extra add some espresso sugar on top. And dig in. 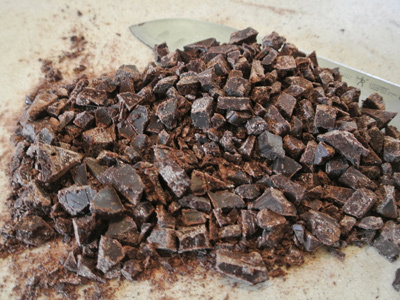 . .
Chop the Mexican Chocolate discs into small chunks with a sharp knife, set aside. For the cake. 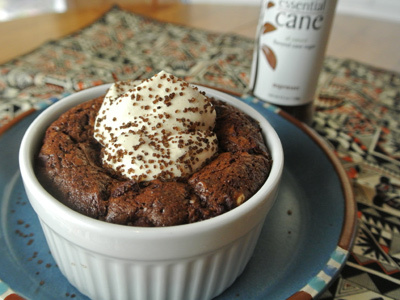 Combine flour, cocoa powder, espresso powder and baking powder into a medium bowl. 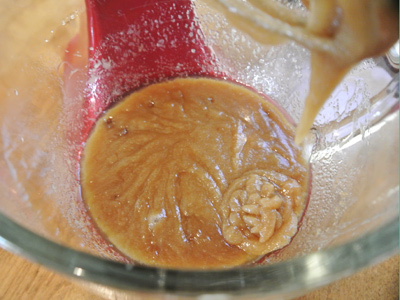 Place melted butter and sugars into the bowl of a stand mixer and blend on medium until they are creamed together. 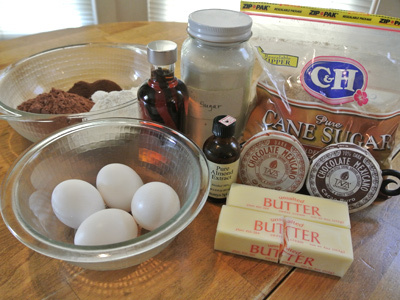 Add in eggs one at a time, beating after each addition, then add the vanilla and almond extracts. Add in the dry ingredients a bit at a time until well combined. 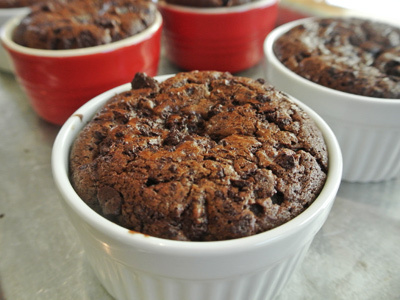 Divide the thick batter into 6 (8 ounce) ramekins. 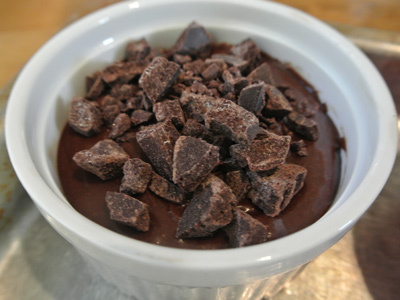 Top each with 2 tablespoons of the Mexican chocolate chunks. 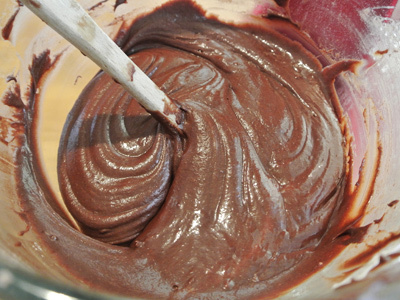 Gently press the chocolate into the batter with the back of a spoon. Cover and refrigerate 1 hour. Preheat oven to 350 degrees. Let ramekins stand at room temperature while the oven heats. Bake uncovered approximately 30 minutes until cakes are puffed and crusty. Test with a toothpick in the center. It should come out with thick rich batter attached. Set ramekins out to cool for 5 minutes. The center should collapse leaving a dense molten chocolate in the center. 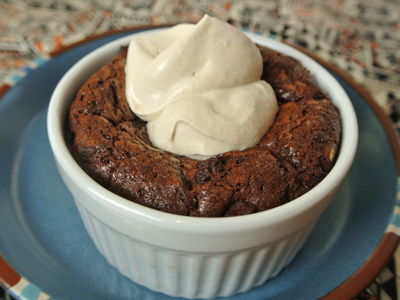 Top with Espresso Whipped Cream and serve. 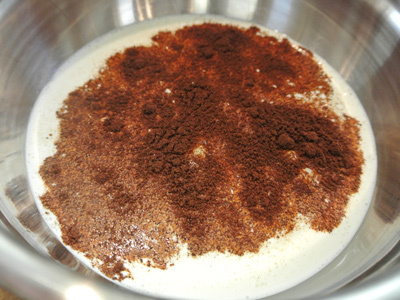 Combine whipping cream, sugar and espresso powder together in a medium mixing bowl. 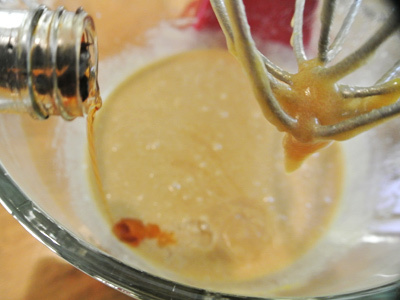 Whisk on high with a hand mixer until soft peaks form. Chill in refrigerator.